In 2016, 13.91 million people traveled to a ski resort for a family ski vacation. This is because there’s absolutely nothing like feeling the wind against your face as you take on the toughest Black Diamond trail. However, ski trip costs add up. With the cost of lift tickets, ski gear, lodging, and transportation for everyone, skiing is not a cheap sport. But never fear because you can still participate in the sport you love while being kind to your wallet. 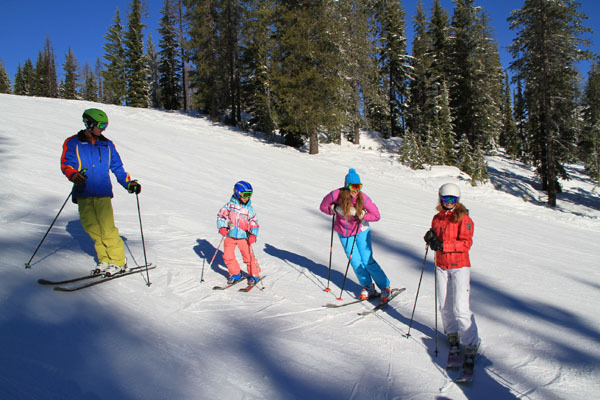 Check out these budget-friendly tips to help you save a little on your next family ski trip. 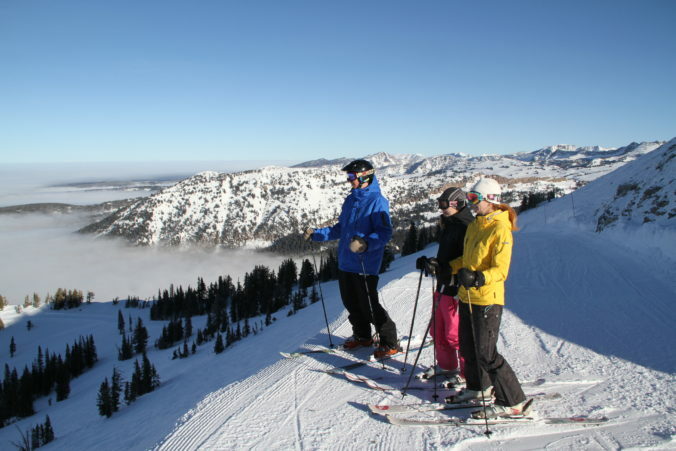 Ski season is typically from late November to early April. Therefore, you should start planning your trip end of summer. This will allow you enough time to shop for bargains and get discounted rooms and airline tickets. 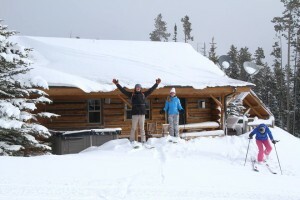 You should also ski off-peak seasons, typicallythe beginning and end of the ski season. Early December, ski lift ticket prices are generally less expensive and so are lodging costs, same goes for early April at high-elevation ski resorts that stay open later, like Vail and Snowbird. You definitely want to avoid Christmas-New Years, Martin Luther King weekend in January and mid February – high-peak seasons that come with higher costs and crowds. See our Tips on Planning the best ski vacation. One of the best ways to reduce your cost of travel is to vacation with more than one family. You can find neighbors, family friends, or extended family members to help split the expenses of lodging – renting a big condo or ski house, and you can share food expense. Not only will you save some money, but you will also have someone for the kids to play with, and après ski with your adult friends. It’s always more fun with more people to share your experiences with! When shopping for lodging, try to find a resort ski home, cabin, or condo that comes equipped with a kitchen, and often washer dryer! So you don’t have to eat out every meal – saving you money, and sparing you from dining with tired hungry kids after a big day of skiing. If you travel with another family or extra friends, you can all take turns cooking every night. This way you can split the cost of groceries as well as the cooking. 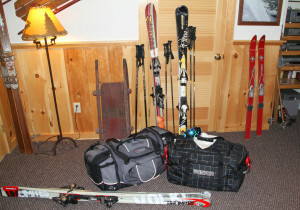 See our Tips on Packing for a Ski Condo. As soon as you book your lodging and transportation, set up a “ski trip” savings account. Determine how much money you will need for the trip and set this as your goal. You can determine how much you should save each month and what you plan to put on your credit card. If you have a rewards card, place purchases on this card to get cash-back for the big ticket purchases. This will help you budget, with the bonus of rewards later. Check out he price for a season pass at the ski resort if you are going for more than 5 days. Today’s ski passes, like the Epic Pass, IKON pass and Mountain Collective are often better deals (valid at many ski resorts all winter) when bought in advance than the retail day tickets. Vail is over $179 a day but an Epic Pass starts at $599! You do the math! 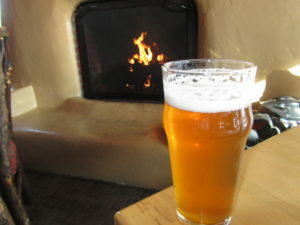 O ne of the most expensive costs of skiing is the equipment. If you already have your own equipment, that is great. But for everyone else, renting your skis every trip can become costly. You may want to look into second-hand shops, local ski swaps hosted by school and ski clubs, and ask about used gear at ski shops for deals on previously owned gear or demos. Also shopping in spring , online, you can find great deals on last year’s ski gear. See our Ski Gear Guide for the top skis to buy or rent. 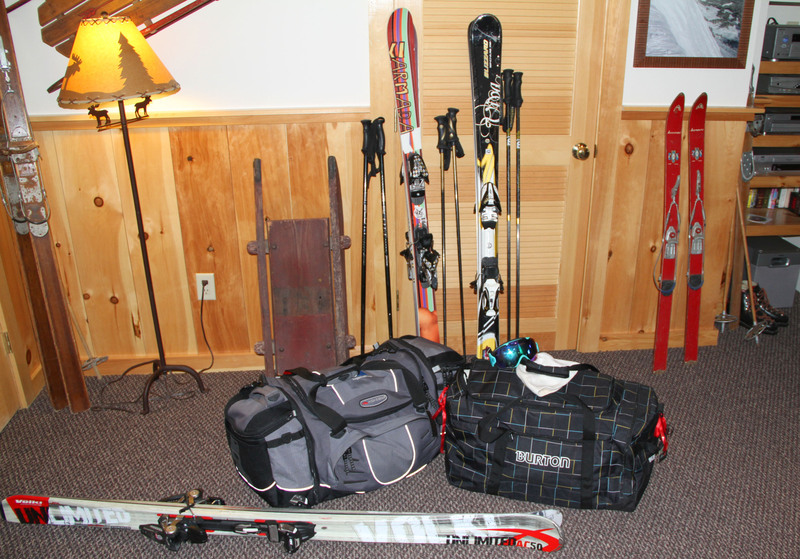 Many families find packing for skiing to be stressful, see out Tips on What and How to Pack for a successful ski trip. If you love skiing, you shouldn’t let cost keep you from hitting the slopes. Shred the snow without damaging your wallet with some preparation, organization, and research. Skiing = expensive, memories skiing with your family = priceless!